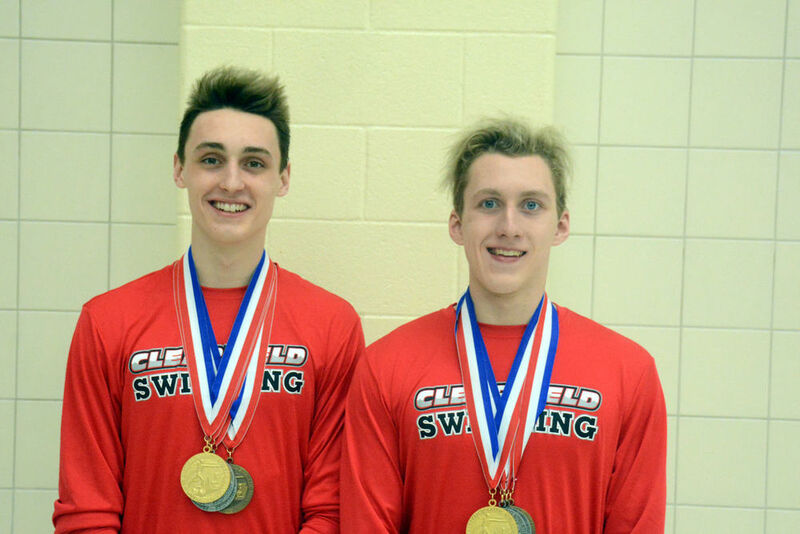 Pictured are Clearfield’s Chase Bietz and Luke Mikesell with the gold medals they earned in the finals of the 2018 Class 2A PIAA Swimming and Diving Championships. Bietz won gold in the 100 breast, while Mikesell took gold in the 500 free. Congratulations Chase & Luke!!! Go Bison!